Golden Tree Productions and Cornwall Council wanted to engage a new demographic of non-Cornish speakers and to promote learning the language in creative and accessible ways. Working alongside illustrator Emily Godwin, web designer Kieran Holden and developer Matt Collins, we created a new dynamic online resource called Go Cornish (gocornish.org). The website can be used to find local language classes, enjoy Tales from Porth stories for pre-school and family learning, listen to ‘phrases of the day’, get Cornish translations at your fingertips, access apps, stories, games, inspirational content and much more. A programme of interactive Go Cornish workshops and events are also taking place in schools, pubs and community spaces across Cornwall. As Communications Manager for the project, I put together a Communications and Brand Strategy which outlined user profiles, goals and principles, and tone of voice whilst establishing marketing and social media guidelines and evaluation processes. In the run-up to the Go Cornish launch, I wrote copy for the website including articles for the 'Latest' and 'Inspiration' sections. Given that this is in part a bilingual website, I worked to implement language and translation guidelines for all communications outputs going forward. 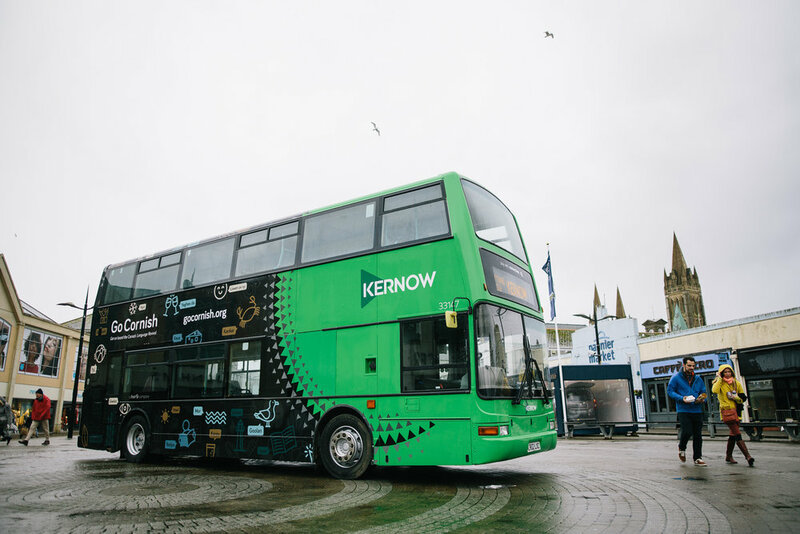 Golden Tree also partnered with First Kernow to create a Cornish departure lounge in Truro and Go Cornish-branded double decker bus. 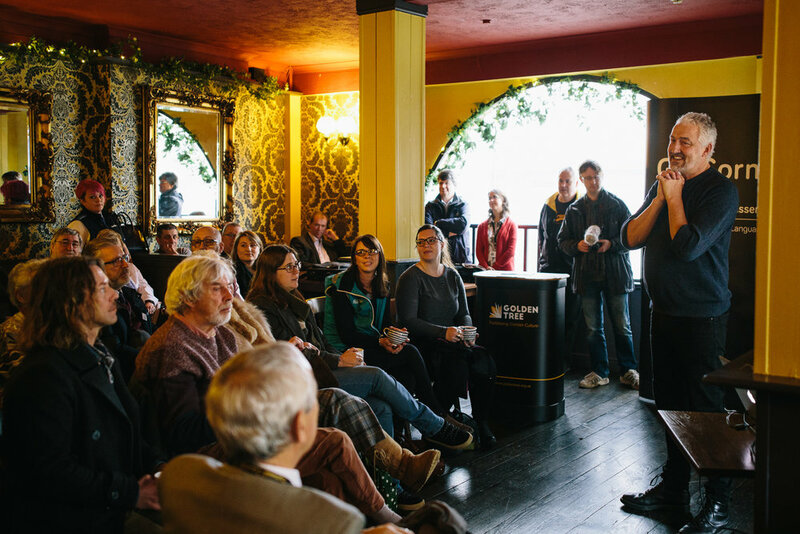 Working with the team, I organised the Go Cornish launch party on Lemon Quay, Truro managing press on the day (alongside Excess Energy), key messages for presentations and ensuring the event ran smoothly. 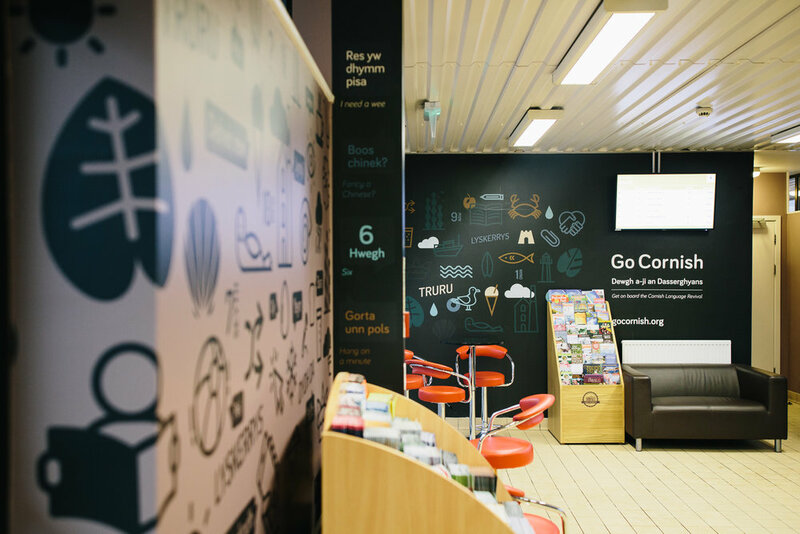 The Go Cornish launch coincided with the release of a new Cornish language app called Magi Ann, which was funded by the National Lottery and is available via the Go Cornish website. I created a film to promote the resource at Nancledra Pre-School, where children learnt some Cornish language with the ‘Magi Ann Kernewek’ (Cornish Magi Ann) app, and enjoyed cream teas and activities.